30TH MAY - LIVE MUSIC WITH "THE FRUITS" - HAPPY HOUR FROM 7PM TILL 8PM FOLLOWED BY A NIGHT OF LIVE MUSIC, THIS BAND IS GUARANTEED TO GET THE CLUB ROCKING, THIS IS AN OPEN EVENT SO FEEL FREE TO BRING SOME FRIENDS ALONG. 6TH JUNE - DERBY DAY AND BBQ - THE CLUB WILL BE OPEN FROM 2PM FOR THE RUN UP TO THE BIG RACE, THE BARBEQUE WILL BE GOING FROM 2.30PM SO COME ALONG AND WATCH THE RACE ON THE BIG SCREEN, THERE WILL BE A SWEEPSTAKE AT THE CLUB WITH ALL PROCEEDS GOING TO THE CLUBS ENTERTAINMENT FUND SO PLEASE TRY TO SUPPORT THE CLUB IF YOU CAN. Please ask your friends, family and neighbours to either give you the coupon or ask them to pop into the club and post it in the voting box. The pictures of the application and write up in the newspaper are displayed on the club notice board :o). We really need your support in the competition so that we are successful in our bid for the �2,000 that is up for grabs!!! 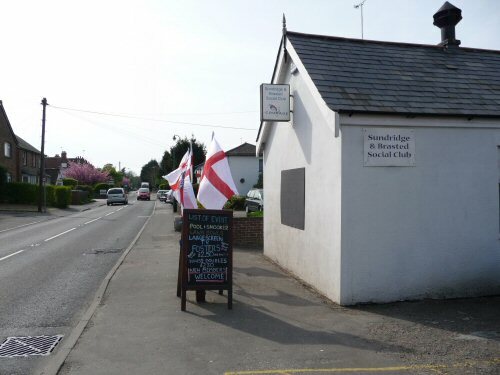 Don't forget that you can also find details of all club activities and news on www.sundridge.org.uk/socialclub and the club can also be found on FACEBOOK - The Sundridge & Brasted Social Club, please feel free to join the group if you want. Membership forms for the Social club are readily available, membership fees �6.00 per annum, the club offers Snooker, Pool, Darts, Bowls, large Screen T.V., Digital Juke Box, special nights and events are held throughout the year together with club competitions, golf days and reduced club prices on alcoholic drinks!! 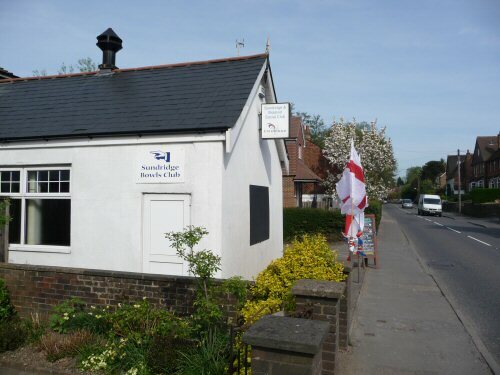 If you would like any further information regarding membership please call the Club Secretary, contact Barbara Corp on 01959 562456, email blongbon@aol.com. Guests and families with children are always welcome, there is a �1.00 signing in fee for all guests over the age of 16 years old. The club run a Pool Team. Darts Team and have their own Bowls Club that operate from club premises, new players for all teams will be warmly welcomed. There are various events that are held throughout the year and details are always available from the Social Club notice board.